Small companies want their clients to feel comfortable when visiting their location and many people feel lost without constant access to their mobile devices. As a result, most companies, especially customer-service oriented businesses, want to ensure that their customers have easy access to Wi-Fi when visiting or waiting for service. However, although it is important to keep your customers connected and happy, your company must also take the necessary precautions to ensure the security of your operations. This is accomplished with the use of guest Wi-Fi. Why not let Visitors Use Your Network Wi-Fi? The most important reason to not ever let guests access your internal company network through Wi-Fi is the real danger of allowing any malware from their mobile devices to enter your company’s system. Also, there is the possibility that some visitors might take the opportunity to enter your system and gain access to sensitive documents and private databases. In addition, not having a separate Wi-Fi access point for guests will make your company look unprofessional. Maintains security and privacy. With a guest password allowing access only to the Internet, your company’s internal network will not be exposed to any malware from outside mobile devices and your sensitive information will remain protected. Enhances your company’s professional image. With separate guest access to Wi-Fi, your customers will be reassured that you take the security and privacy of your company’s business seriously. No need to constantly change your company’s Wi-Fi password. It is recommended that companies use a strong password for their internal network with a varied, many character passphrase. Companies should also change this password regularly to maintain a high-level of security against cyberattack. Most experts recommend that companies use a relatively simple password for their guest Wi-Fi access and change it frequently. Some companies print out the password on small slips of paper and hand them out to visitors when they request the guest password. Limits the bandwidth available to visitors. By segregating your network and not allowing the same Internet priority to visitors, your company can maintain the strong network capability necessary for your employees to complete their tasks. Provides the ability to limit access and establish parental controls. When using guest Wi-Fi access, your company can establish stricter online oversight over visitors and implement parental controls much tougher than on your internal network. Companies can easily use strong filters that make sure no visitors are exploring unsavory websites. Security experts also recommend that your company should take the simple step of hiding your company network Service Set Identifiers (SSIDs) from any visitors or nearby Wi-Fi users. The SSIDs are the names of the Wi-Fi networks that appear when someone with a mobile device is searching for a wireless connection. While your guest network should appear during a search, there is no reason for your internal company network SSID to display. If your internal company network SSID is visible it could tempt curious visitors as well as skilled hackers to take the opportunity to try and gain access to your system. By setting up guest Wi-Fi access with its own distinct password you can provide visitors to your company with the online service they desire, while also keeping your internal network separate and secure. By taking this action your customers and visitors will be satisfied with easy Internet access, your business operations will not be negatively impacted, and your company will appear more professional. 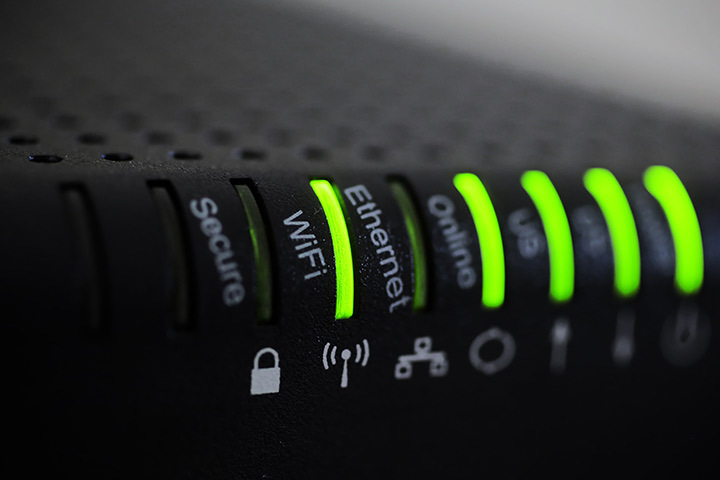 For questions about setting up guest Wi-Fi access and any other IT-related issues, please contact Network Depot by calling or sending us a message online.